Arizona Maynard Stepp, age 85, of Lovely, KY, passed away Sunday, July 22, 2018 at Three Rivers Medical Center. She was born May 28, 1933 to the late Dewey and Lennie Moore Maynard at Pilgrim, KY. In addition to her parents, she is preceded in death by two brothers; George and Dewey Maynard, and one sister, Emma James. She is survived by her husband, Vernon Stepp, two sons; Mitchell (Pat) Stepp of Crum, WV and James (Sue) Stepp of Lovely, KY, one daughter, Brenda Sammons of Lovely, KY, 1 brother, Eugene Maynard of Inez, KY, 1 sister, Bernice Maynard of Ohio, 3 grandchildren; Brent (Sara) Sammons of Winchester, KY, Misty (Harry) Deskins of Hatfield, WV, and Christopher (Glenna) Stepp of Crum, WV, and 5 great grandchildren; Benjamin and Owen Sammons, Chloe Stepp, and Brandi and James Watts. She is also survived by 2 special nieces; Berniece Swisher and Sharon Pinson as well as several other nieces and nephews, her special friends and neighbors; Mose and Judy Newsome, special brother in laws; Prentice Newsome and Benny Newsome and special sister in law, Ernestine Moore. Funeral services will be held Wednesday, July 25, 2018 at 11 AM in the chapel of Crum Funeral Home with Terry Harmon officiating. Burial will follow in the Stepp Family Cemetery, Lovely, KY. Friends may visit at the funeral home after 6 PM on Tuesday, July 24, 2018. 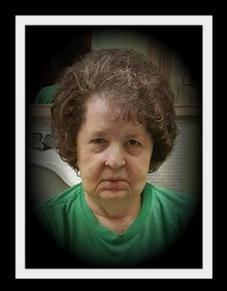 Arrangements are under the direction of Crum Funeral Home, Inez, KY.